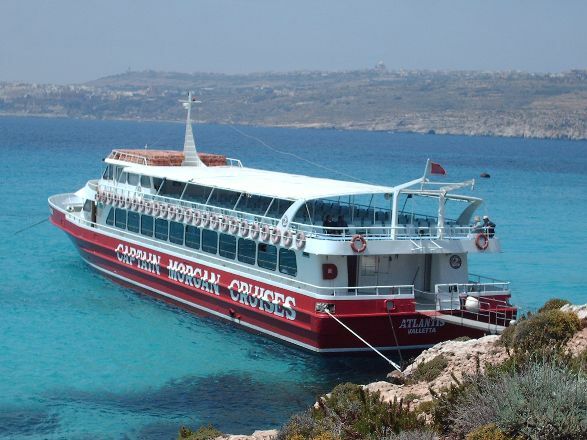 The Round Malta Cruise is a great way to see the island from a totally different perspective. It’s your chance to see Malta and Comino in just one day, with the opportunity to stop at the Blue Lagoon for a spot of lunch, swimming or just simple lounging around in the sun. The cruise will sail past Valletta, Malta’s Capital City. Then past the Grand Harbour Entrance onto Marsascala Bay, St.Thomas Bay, Island Bay and past Peter’s Pool onto Delimara point. Up next is Malta’s largest fishing village Marsaxlokk Bay – quickly followed by the Blue Grotto, the captivating colourful caves. 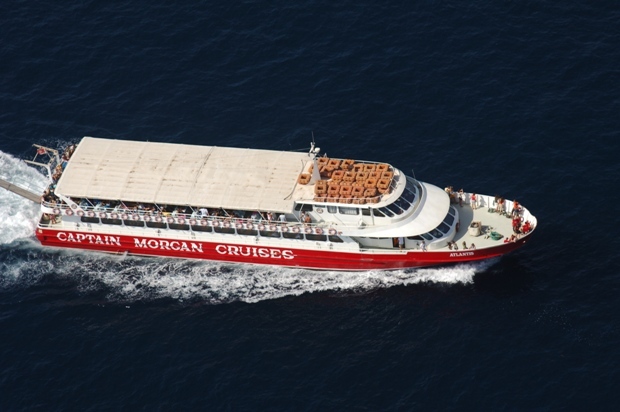 The Captain Morgan vessel will then cruise past the magnificent Dingli Cliffs and the tiny island of Filfla. A particular attraction is Anchor Bay. This rocky cove incorporates ‘Popeye’s Village’, the actual set of the film ‘Popeye’ which was shot on location. Onto the Comino Island, situated between Malta and Gozo the small island which is known as a paradise for divers, ramblers and photographers. Here Captain Morgan Chefs and Stewards will serve an optional cold lunch with fresh fruit and wine. The island’s main attraction is the Blue Lagoon. In the summer it is a sheltered inlet of shimmering aquamarine water over white sand, it’s not only very popular with day-trippers but locals too. 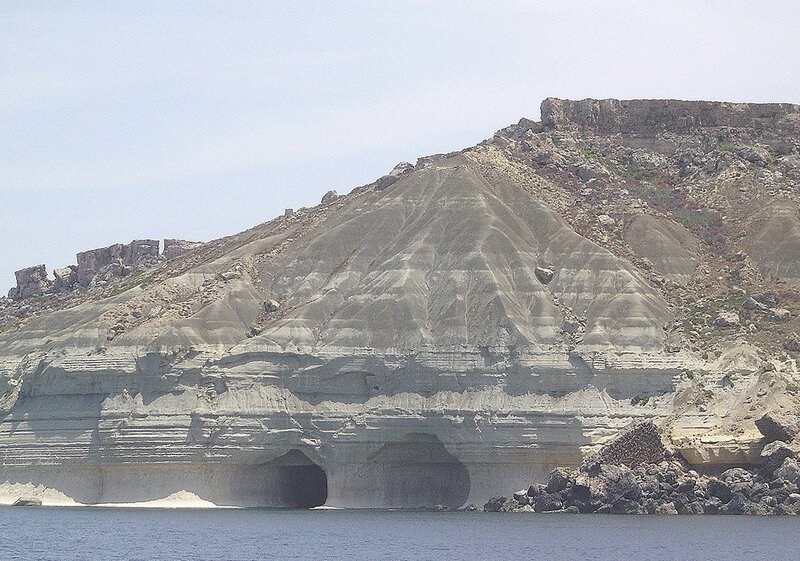 If sunbathing isn’t for you then tickets are available for boat rides to visit the caves of Comino for a closer inspection. After sailing past Mellieha Bay and St.Pauls Island, Salina Bay, St Andrew’s you will then head past the Casino and onto St.Julians Bay. The rest of the day can be spent sunbathing or you have the option to go ashore to roam some more. In winter Months you head back to Sliema at around 4:30pm and in the summer you will expect to arrive at 5:30pm. A great day trip for all, and for those who love to update friends, family and social media of their travels the Captain Morgan Vessels have FREE Wi-Fi on board their vessels. Rest assured there is a fully stocked bar and toilet facilities available on board. As part of the cruise you can arrange transport from and to your accommodation and lunch on board (at an extra charge) so all you have to take care of is meeting the transport on time and enjoying the beautiful sites as you sail around the Island. I’ve heard so many great things about Malta from my friends and I’m really looking forward to going there soon. I hope I can try out this cruise during my stay.